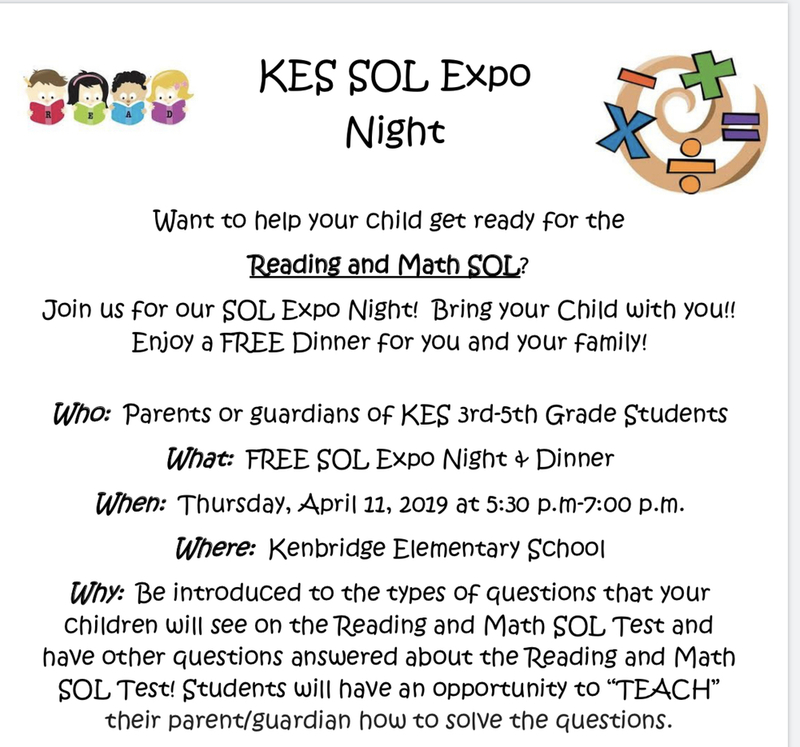 On April 11, KES 3rd-5th Grade Parents are invited to our SOL Expo! The event will take place from 5:30-7 p.m. at KES. Come check out SOL testing with your child. Dinner will be provided. Please RSVP when your child comes home with your flyer so that we can prepare enough food for you! And of course there will be door prizes!